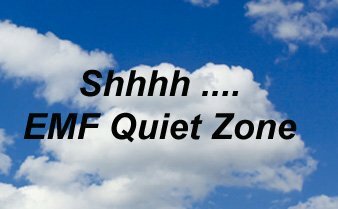 EMF-free communities are springing up in EMF Quiet Zones -- areas of low , (ideally zero) electrosmog -- across the world as the numbers of people becoming aware of their increasing electrosensitivity is growing. Electrosensitivity (EHS) and Multiple Chemcial Sensitivity (MCS) frequently are found together, and so they are generally compatible community neighbors who retreat to EMF Quiet Zones from the advance of the ever expanding onslaught of environmental pollutants, including the invisible pollution of radio wave technology, such as celltower radiation, WiFi , etc., Although many EHS and MCS sufferers tend to keep a low-tech low profile out of necessity, here are a few of the more media/internet visible communities that invite contact. 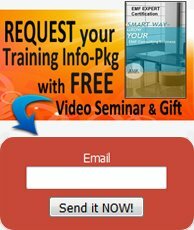 Interested in other EMF Communities across the USA? USA Map of EHS and MCS Communities: Here you will find a growing map intended to help track down USA locations where EHS and MCS Communities are up and running or in the works. 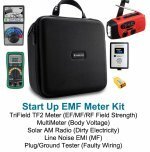 It is also a resource for identifying areas where EHS individuals are living in relatively low ambient EMF environments, even though they are not an organized community designed for that purpose. Originally created by the Federal Communications Commission (FCC) in 1958 to protect the radio telescopes in Green Bank and Sugar Grove, the United States National Radio Quiet Zone has become a safe haven for many who suffer from electromagnetic hypersensitivity. It includes 13,000 square miles that spans West Virginia, Virginia, and a small part of Maryland. Due to the sensitivity of the telescopes, wireless technology is banned within the zone, and radio, cellular, and other broadcast transmissions are restricted to certain frequencies. The few allowed transmitters operate at reduced power using highly directional antennas. This makes it an ideal refuge for many severe EHS sufferers who find themselves able to live more of a normal life inside the Quiet Zone. This community is comprised of a few dozen ES and MCS people who live in close proximity. The area is mostly rural land generally zoned for 20 acres per house, so there is little electro-pollution from neighbors. The levels of electrosmog in Snowflake are generally low but not zero (there are 3 cell towers in the area) unless topography provides natural shielding. Pueblo Quieto: An EMF-Free Community in White Mountains - NE Arizona (under development) -- A high desert (four mild seasons) community of 40 – 225 Acres offering MCS / EI / EHS camping facilities (water, shower, toilets), a tiny homes 'neighborhood' in the treed desert, larger building lots for lease, and tracts of adjacent pristine EMF-quiet acreage available for purchase, with hopes of creating a participatory-stewardship type of EMF Quiet Zone. Also offering EMF Quiet Retreats (a week long revitalizing get away). Great year round weather, within easy drive to low-EMF amenities (medical clinic, banks, stores etc). Built to be electromagnetically quiet, the dome is situated far from cell towers or WiFI in the Sierra Nevada mountains. “The dome has no WiFi (it has wired internet), no cell towers within 2 miles, clean power (harmonics are filtered out), and silent appliances (all lighting is DC).” The dome is built by someone who developed many environmental and food sensitivities at age 15 after dental work for a gold bridge next to existing mercury fillings. In addition to being electrosmog free, the dome is built with non-toxic and mold-hostile materials, and intended to provide a place for EHS sufferers to detox and recover. A project in progress, the ElectroMagnetic Sensitivity Research Institute (EMSRI) is working on the development of safe housing for those with sensitivities. The initiative was started by Dr. Gary Johnson, who purchased 59 acres in Rockvale, Colorado, which includes a gulch shielded from electromagnetic waves from three sides by topography. 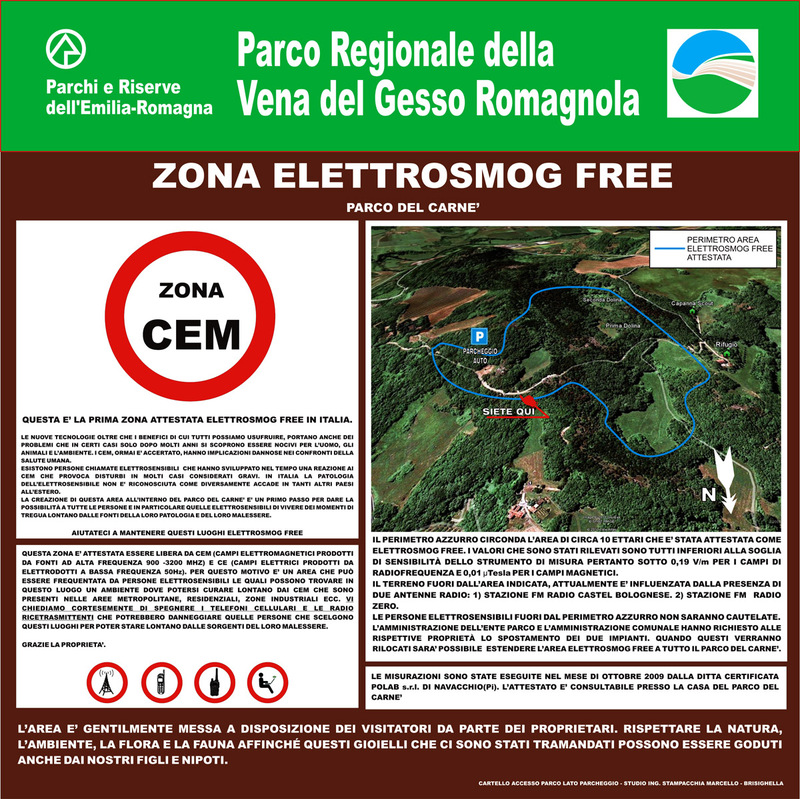 Parc de Carnè, within the Vena del Gesso Regional Park, located in the province of Ravenna, is the first EHS Refuge Zone in Italy. Opened in May 2010, everything in the zone is electrosmog-free, and has been deemed a radiation-free “White Zone,” designed to help those with EHS to rest and recover from their symptoms. The area features a Bed & Breakfast called Eremo del Lupo, “The Wolf’s Hideaway,” which is shielded with anti-EMF insulation and has space for five EHS guests. The EHS Refuge Zone in France is located in southeastern France in a large private property in an unspoiled country area. The refuge was created by Next-up, a non-governmental organization promoting natural environment and raising awareness regarding the harmful effects of EMF. All the facilities are free, but an EHS person who stays in the Refuge Zone must have their own camper van or caravan with a metal body. The Refuge Zone does have some caravans available for free for a maximum of a 3-day trial stay for those who do not have a vehicle. The facilities include communal cooking areas, showers, toilets, water, electricity, and a discharge unit for grounding and getting rid of invasive and disturbing electrical currents. An organic vegetable garden is also on the premises for those who wish to use it. Originally announced on WavesGuard.es, a Spanish blog on electromagnetic radiation, the City Council of Cadiz has declared the town of Olvera Electromagnetic Pollution free. This is the first and only such decision in Spain, although other villages have pushed for a similar decree. Like the US Radio Quiet Zone, the Mid West Radio Quiet Zone is not an official EHS refuge, but was created to protect the Murchison Radio-astronomy Observatory (MRO). Wireless devices such as mobile photos or CB radios are prohibited, and the Murchison shire, with a population density of 110 people, is affected by very little radio interference from nearby residents. A short-termed 162-acre retreat surrounded by forest with no human neighbors, Rose Hill is an off-grid facility with no cell towers, Wi-Fi routers, or Smart Meters nearby. The phone and internet is via satellite, with the dish on a pole mounted away from the house. There is no electrical utility or municipal water on the property, with water being supplied by wells and electricity generated by solar and gasoline-powered backup system. Note: Some people react to solar converters, so we recommend checking with the facility to see where the converter is situated in regards to where you will be staying. Designed to be self-sufficient and self-contained, Cedar Rock intends to provide a healthy living environment for those who have environment sensitivities. The location was “carefully selected and specially designed to address the specific issues surrounding environmentally-induced, cyclic conditions like Multiple Chemical Sensitivity, Fibromyalgia, Parkinson’s and moderate Electromagnetic Hypersensitivity.” The vicinity is free of cell towers and smart meters, and cell phones and wi-fi will not be permitted on the property. NOTE: Please contact us if you know of other communities - we would be glad to support their success by adding them to this list, and to help fill the growing search for EMF Quiet Zones.